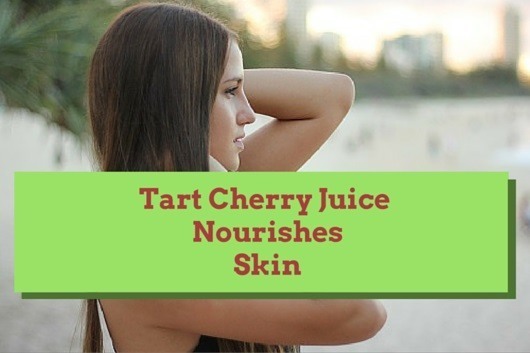 » 10 Amazing Tart Cherry Juice Benefits For Good Health. 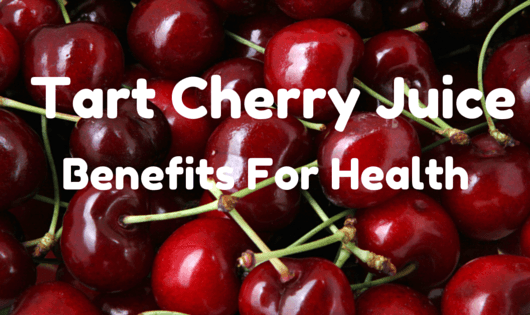 10 Amazing Tart Cherry Juice Benefits For Good Health. Being a mother of a newborn I find it hard to be able to even take a shower on a daily basis, much less eat properly. ​If only life was like a video game. Sadly, we—the most of us--can’t just cheat our way through life. But what we can do is find a simple, cheap, and easy snack to munch throughout the day. 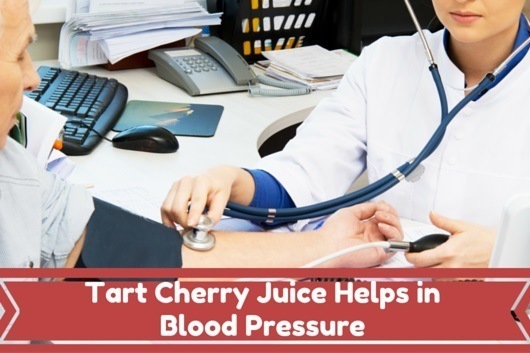 ​Brands such as Cheribundi, Pom, and Lakewood all carry tart cherry juice. Aside from the juice there are also canned, dried, and frozen varieties. Kidney stones are a common occurrence in adults. In the U.S there are about 200,000 cases a year(3). Sometimes it is hard to tell if what you are feeling, though more than likely painful, sharp pain in your abdomen associated with nausea, is truly a kidney stone. Kidney stones are a small, hard deposit of minerals and acid salts that stick together in urine which is still concentrated. This deposit forms a stone-like formation. In this age with the growth of technology on the rise, we are ever changing for an easy lifestyle, yet our health keeps declining especially sleep. It is getting harder to go to sleep at night without our phones, tablets, and T.V’s the last thing we see before we shut our eyes. One thing we don’t realize is the fact that we are the reason for getting the lesser quality of sleep. With lit up phones in our faces before we shut our eyes, it is not allowing our bodies to tell us to release the melatonin. This chemical tells our body that it is time to go to bed to allow our brains to reboot. The phenolic acids—chlorogenic acid, caffeic acid, and ellagic acid—and flavonoids blend to decrease oxidative stress in older adults. Through a treatment period of two weeks, elderly adults found TCJ to have modest beneficial effects on those with insomnia(7) . Plus, with five times the amount of melatonin level found in cherries compared to other berries it alleviates insomnia, as well as jet lag. Arthritis pain as we know comes from old age, it is sadly a necessary evil. But, one thing that may be able to help relieve chronic arthritis, and arthritis which comes with old age may be TCJ. Because of its anti-inflammatory properties, it has been found to help alleviate some of this pain. These anti-inflammatory properties are found in anthocyanins. The number one killer in North America is the cardiovascular disease in both men and women. 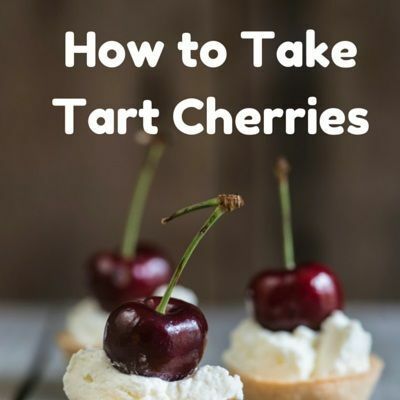 Tart cherries have been proven to be beneficial to the heart because of the intense amount of anthocyanins. They can be found in red and purple fruits and vegetables. They have been associated with a risk decrease for myocardial infractions (MI) in young and middle-aged women. Heart disease factors rise without a healthy balance of exercise, diet, and low triglycerides(11). Tart cherries have been found to lower these triglycerides that my otherwise raise your risk to heart disease. Triglycerides are a pesky fat lipid found in the blood and can affect the heart greatly. It feels great to run and exercise, but we all have to admit that a few days after it makes us want to quit. 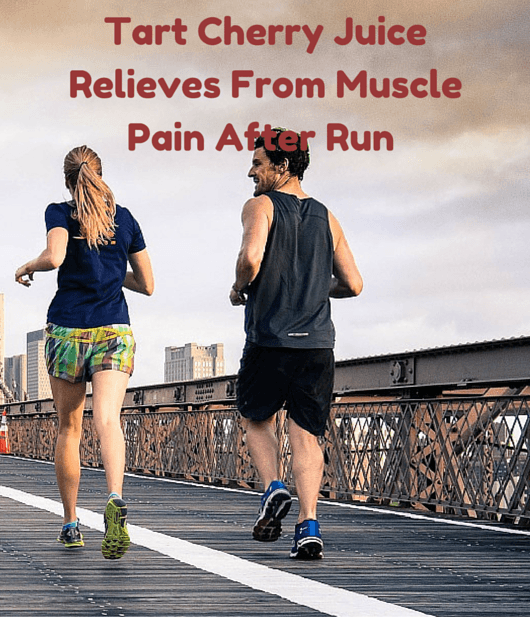 The pain we get from running can sometimes be unbearable. This pain associated with working out is found in the chemical With TCJ we can rest assure it won’t be so bad. Because the juice is rich in antioxidants and have anti-inflammatory properties may be why it gives us a protective effect of reducing muscle –damage and pain relief during strenuous exercise. Women have enough to worry about while they are pregnant, so why to give them something else to fret over. I surely won’t! 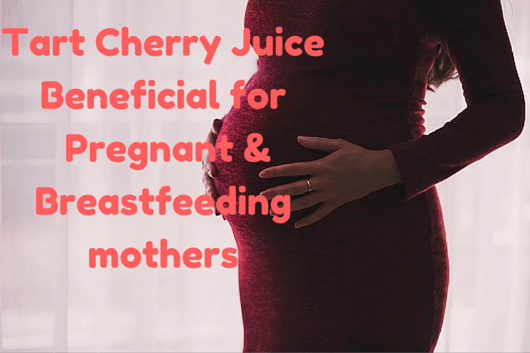 Tart cherries have been found to be an incredibly beneficial and a yummy fruit to consume during pregnancy and breastfeeding. Cholesterol can become harder to handle as we get older, no matter how many cheerios we eat. For human clinical trials, this would be an amazing wow factor. This reduction is likely due to the improved cardiovascular health as well. Which has also been proven to help humans already. Controlling blood pressure is obviously important considering if it wasn’t then the doctor wouldn’t check it every time we go in to see them. But do we really know what it is, and why it is important? It is the highest level your pressure of blood in the circulatory system reaches when your heart beats as well as its force and rate. It is also closely related to the diameter and elasticity of the arterial walls. TCJ contains quercetin a polyphenolic flavonoid that decreases blood pressure and oxidative stress. In this study, they found 74.5 million Americans have hypertension most commonly defines as systolic blood pressure, whereas 25% of Americans have yet to be diagnosed with hypertension. Every year the seasons seem to be getting hotter in the summer and colder in the winter. With TCJ we can rest easy knowing our skin won’t suffer. ​TCJ‘s plentiful oxidization abilities promote the right amount of Oxygen Radical Absorbance Capability (ORAC) units needed for the body, and antioxidants to help protect the body. Like most things in life, you can’t get all the nutrients you need from store bought juice. Drinking the bottled juice is refreshing, but loaded with added sugars. As we see tart cherry juice is widely underestimated. With its sour, tasteful qualities we can enjoy a healthy and easy snack with many benefits along with its ease. It is great to have for when you have trouble sleeping, and drinking, or eating it after a workout would help ease the pain of over-exerted muscles. Previous Post An Apple a Day Keeps the Doctor Away: Is It True? Next Post How to Relieve From Constipation at Home? 17 Home Remedies For Constipation. Thank you for the information, Now I’m pretty sure that I’m healthy. It’s my daily habit to drink a Tart cherry juice. Organic foods may have higher nutritional value than conventional food, according to some research. The reason: In the absence of pesticides and fertilizers, plants boost their production of the vitamins and antioxidants which gives them the nutritional value.